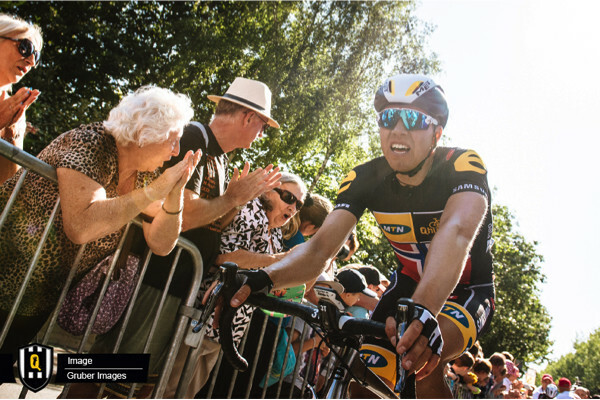 Edvald Boasson Hagen secured MTN-Qhubeka p/b Samsung another podium finish. After 217 kilometers from Edinburgh to Blythe the Norwegian national road race champion crossed the line in 3rd behind stage winner Fernando Gaviria (Etixx-QuickStep) and André Greipel (Lotto-Soudal). The race got off to a fast start with several teams trying to get into the break of the day. 6 riders were finally able to open up a gap. 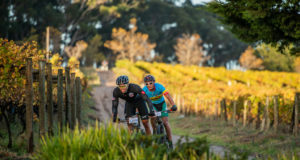 It was good to see Reinardt Janse van Rensburg being part of the move, given his hard crash just two days ago. The break was able to build up a lead of around 3 minutes, but were kept on the short line by Movistar. The Spanish team around race leader Juan Lobato drove the peloton and were joined by the other sprinter teams in the last hour of racing. At the front the break split, with three riders trying to stay away. Alan Marangoni (Cannondale-Garmin), Matteo Trentin (Etixx-Quickstep), and Danilo Wyss (BMC) were caught with 17 kilometers to go. On the flat run-in to Blythe Sky was the first team to pick up the pace. Lotto-Soudal joined in later with MTN-Qhubeka p/b Samsung not too far off the front. Yesterday’s most combative rider Tyler Farrar and Gerald Ciolek did the lead-out for Edvald and he managed to stay up there in the end. His 3rd place finish earned him a few seconds for the GC. He stays 2nd ahead of tomorrow’s hilltop finish in Hart Side, just 6 seconds off the lead. The team did a really good job today. Reinie managed to get into the break, so we were not in the need to work back in the peloton. Tyler and Gerald then rode me into position and I tried hard. Gaviria and Greipel were just faster today. I am still 2nd in the overall so lets see what tomorrow brings. Qhubeka is an Nguni word that means “to progress”, “to move forward”. Qhubeka (qhubeka.org) is World Bicycle Relief’s program in South Africa. 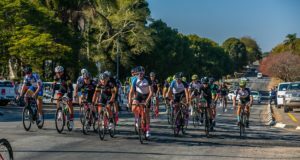 World Bicycle Relief (worldbicyclerelief.org) is a global non-profit organization dedicated to advancing education, health and economic opportunities by providing simple, sustainable transportation. Since World Bicycle Relief’s founding in 2005, it has delivered more than 220,000 specially designed, locally assembled bicycles to people in need. To contribute to the #BicyclesChangeLives Campaign, click here.